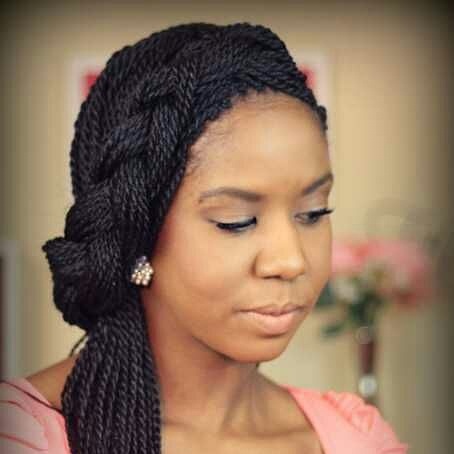 African Braids - Big Box Braids / Twists - BlogIT with OLIVIA!!! 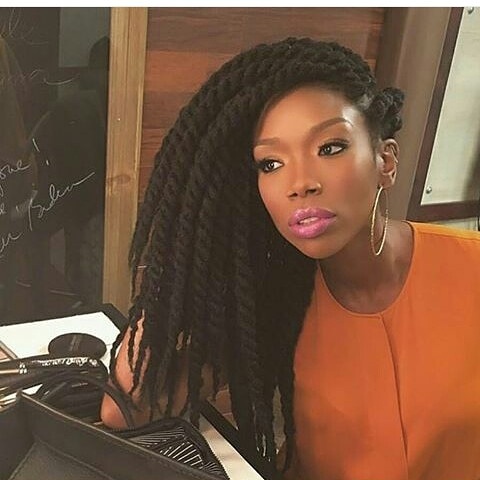 Some women prefer braiding to other hairdos because of the sophisticated and unique look it tends to give them. They offer an excellent opportunity to extend one's hair and wear versatile hair styles. Think of not been stucked with a particular hair style for some months. It offers exquisite and unique appearance and are usually very easy to make. Braids protects your natural hair and offer the benefit of low cost maintenance. The only contradictions for braids is weak brittle hair. But if you have none of such complaints, then I'd rather you do not hesitate to try out one of the looks below. Braids can be styled into so many ways depending on your capability. It's just what every woman should desire once in a while.